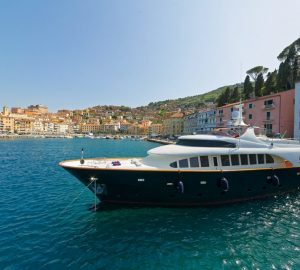 The 36m Intermarine built motor yacht SAVANNAH is offering 8 nights for the price of 7, or 10% off the 7-night rate, cruising New England this summer. 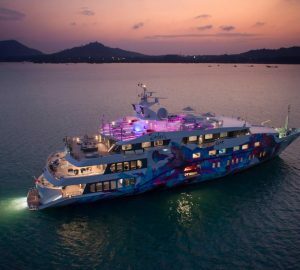 With interior design by Luiz be Basto and in-house naval architecture, she accommodates 8 charter guests, in 4 cabins. Delivered in 2000, the yacht underwent a refit in 2014. Lovely contemporary interiors invite a relaxed yet elegant ambience. Throughout the yacht, there is a neutral palette with soft cream and pale pastel fabrics, warm woods and ample natural light. A spacious main salon offers sumptuous seating aft, a wet bar and games table forward and panoramic windows either side. Her formal dining room is situated separate and forward of the salon, and aft of the large country style galley. 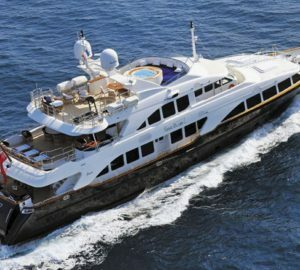 M/Y SAVANNAH has a vast exterior living. The aft deck is shaded with an alfresco dining table, seating and wet bar, in addition, direct access to the salon makes it ideal for entertaining. On the foredeck, there is a cosy seating and sunning nook. 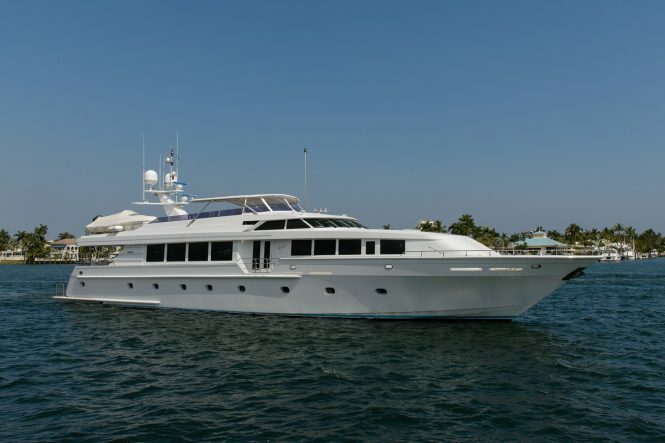 Her sundeck is well-appointed, complete with alfresco dining, wet bar, sun pads and jacuzzi. A great selection of water toys is available from the extended swim platform, on the transom. Accommodation for up to 8 charter guests is over 4 stylish cabins, each of which is en-suite and boasts Direct TV. 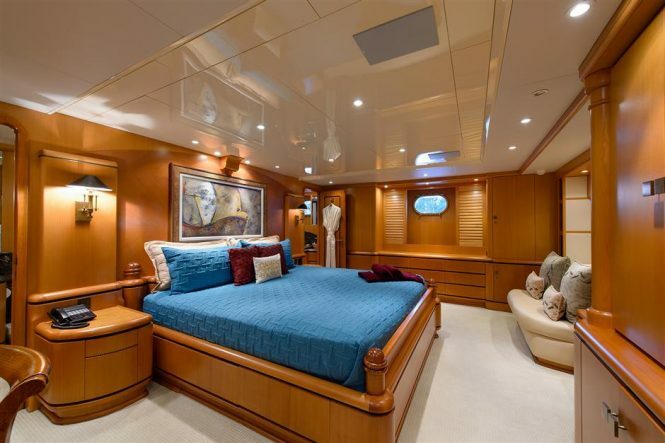 The master is amidships and features a king size bed and large bathroom with his and hers facilities and a generous shower. A VIP cabin is to starboard, with a queen size bed. On the port side, aft is a guest double cabin, this cabin converts into a twin arrangement when required. A further cabin forward to port offers twin beds. Two 1350hp CAT engines provide speeds of 12 – 15 knots. She is fitted with underway stabilizers to ensure additional at sea comfort. 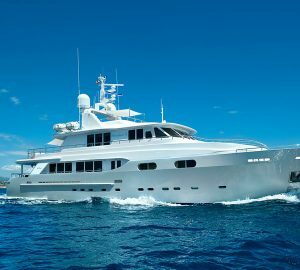 Please contact CharterWorld - the luxury yacht charter specialist - for more on superyacht news item "One Free Night aboard 36m Charter Yacht SAVANNAH in New England".